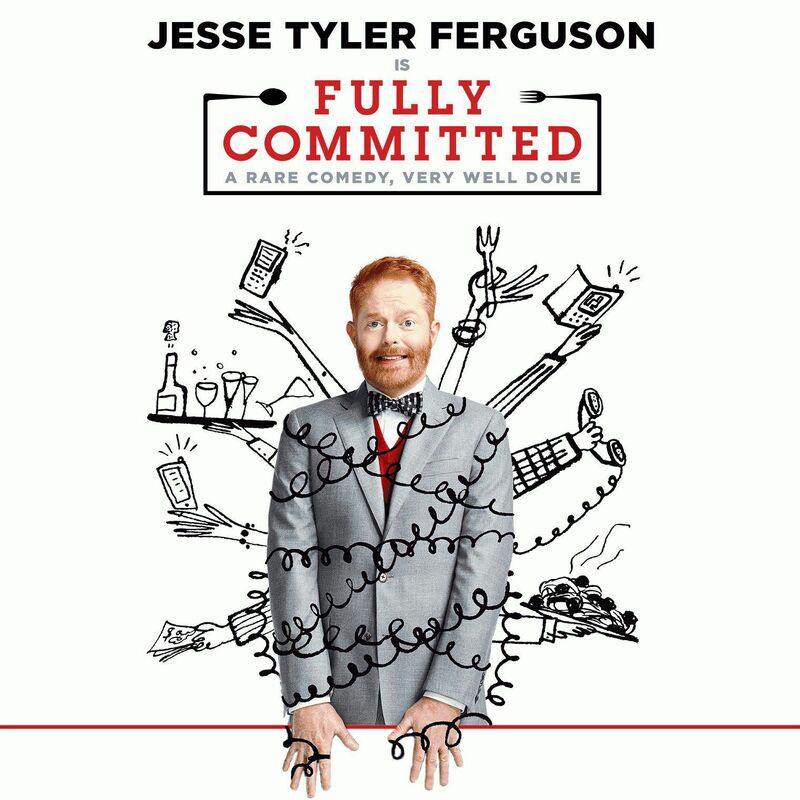 Immense congratulations to alumnus Jesse Tyler Ferguson, who after eight years will return to Broadway to star in Becky Mode’s culinary comedy, Fully Committed! Jesse last took the Broadway stage in 2008, when he played Leaf Coneybear in the original production of The 25th Annual Putnam County Spelling Bee. After his final curtain, Jesse transitioned to television to become an international sensation as Mitchell Pritchett in ABC’s comedy sitcom “Modern Family,” which currently holds the record for most Emmy Awards won by a TV series (tied alongside “Frasier”). Eight years (and five Emmy nominations) later, Jesse now makes his triumphant return to Broadway in the one-man show Fully Committed, playing not one but 40 different characters of various ages, genders and ethnicities packed into a single 90-minute performance. Jesse primarily plays Sam, an out-of-work actor who makes ends meet by taking reservations at Manhattan’s most exclusive restaurant. Surrounding Sam are Jesse’s 39 other roles, including a megalomaniac chef, Sam’s dad, a depressed secretary, a volatile maître d'hôtel, and a vast array of pompous clientele and frenzied waiters. Leading up the premiere in April, Jesse will have the unique opportunity to work with the playwright, Becky Mode, who has updated Fully Committed since its 2000 debut to reflect modern times and tailor the script to Jesse’s strengths and versatility. He will also work with director Jason Moore, a Tony nominee who has directed such monumental hits as Pitch Perfect, Sisters, Avenue Q and Shrek the Musical. *Fully Committed will premiere at the Lyceum Theatre from April 25 to July 24, with previews beginning April 2. Purchase tickets.